Last week we started zoology. We’re using The Sassafras Science Adventure for this subject and are loving it! We decided to try the Kno app (talked about it here) since we purchased the Kindle version and ebook version for this subject. Unfortunately, we found out that the Kno version on my tablet wasn’t the same as on my daughter’s device so it made things a bit difficult to use. Some features were just not available or as easy to use on hers so I gave her my tab to use. She really liked it but using the stylus was a bit of a challenge and her handwriting was a bit messy and made it difficult to enter all the data in the space provided, so we opted to print the log book for her instead. I went ahead and bound the logbook for her and decided to keep the Guide book on my tab for me to use. All in all I think the method we are currently using works out the best! My girl reads a chapter on her tablet, we pull out the Logbook for her to jot down her notes and I use the Guide to teach and know which resource to pull out to go along with the chapter she’s read. She absolutely is loving Zoology! Elemental Science has definitely made this subject fun and educational. 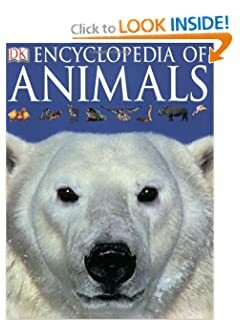 I also wanted to say that if you have an animal-lover in your home, I highly recommend the DK Encyclopedia of Animals! It is an AMAZING encyclopedia. The photos are vibrant and beautiful and the information provided on the animals is quite detailed. My daughter spends hours reading and browsing through it for fun! Overall, I definitely give two thumbs up to Elemental Science’s Living Books Volume 1 Zoology!